People love the timeless good looks of slate tile and cedar shake roofing systems. A DaVinci composite roof reflects mimics the looks of these roofs with less maintenance, repairs and replacement. Safe Harbor Roofing & Siding has certifications from producers of quality roofing and siding. Among them is DaVinci Roofscapes. Here, we share the features of their slate and shake roofing. DaVinci Roofscape roofs come in a full spectrum of authentic slate and shake colors. They enhance their realistic appearance and blend well with the surroundings. Proprietary VariBlend™ technology provides you with limitless color shades. Learn about custom colors and blends of roofing from our DaVinci Project Specialist. Small amounts of hail won’t damage your roof, but if you live in certain areas, you won’t have the luxury to ignore regular hailstorms. A composition shingle roof cannot handle the beating of constant hail damage. A real slate roof is a good alternative, but you have to consider its weight and cost. DaVinci composite slate roofs are your best bet. They are low maintenance and fire-resistant. Most of all, this roofing system is well-tested and warranted for impact. You won’t have to constantly worry about untimely roof repair or replacement. Homeowners can reap big rewards by selecting sensible, energy-efficient materials for home construction. These materials include the foundation, walls, doors, windows and roof. A cool roof made of durable composite slate or synthetic shake can help you save on energy expenses. They actually reflect sunlight and heat away from the home. DaVinci Roofscapes help lower attic temperatures, resulting in lower energy bills. 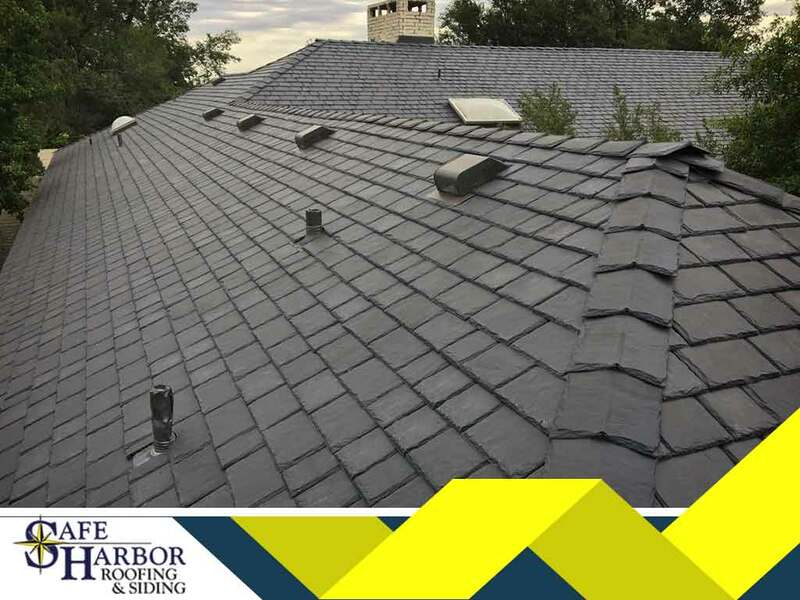 If you are looking for new roofing or siding, go to Safe Harbor Roofing & Siding, your trusted roofers. Call us at (913) 800-6181 for a free, no-obligation consultation with our experienced team. We serve homeowners in Shawnee, KS, and neighboring areas.